File photo: China is planning to give senior citizens who migrate to cities to be with their children the same entitlements as local citizens. China is planning to give senior citizens who migrate to cities to be with their children the same entitlements as local citizens, the Beijing Times reported, citing the 12th Five-Year Plan (20112015). 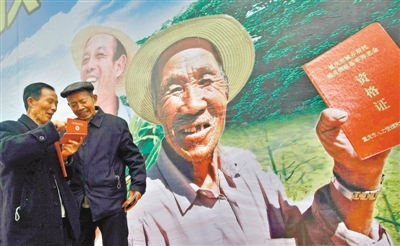 Because many young people leave their hometown for work, policies must be made to facilitate migration of their parents to encourage family support of the elderly, said Yan Qingchun, who works on China's National Working Commission on Aging. Yan said the new policy is supposed to target small- and medium-sized cities first, and megacities like Beijing and Shanghai will not be opened to migrant parents as those cities are attempting to control population growth.